To the Dutch, cycling is as normal as breathing. They don’t think about it, they just do it. Perhaps the fact that they don’t think about it is the key to the bicycle’s success there. But because they do not give cycling a second thought, they don’t really know what the deeper needs of cyclists are. 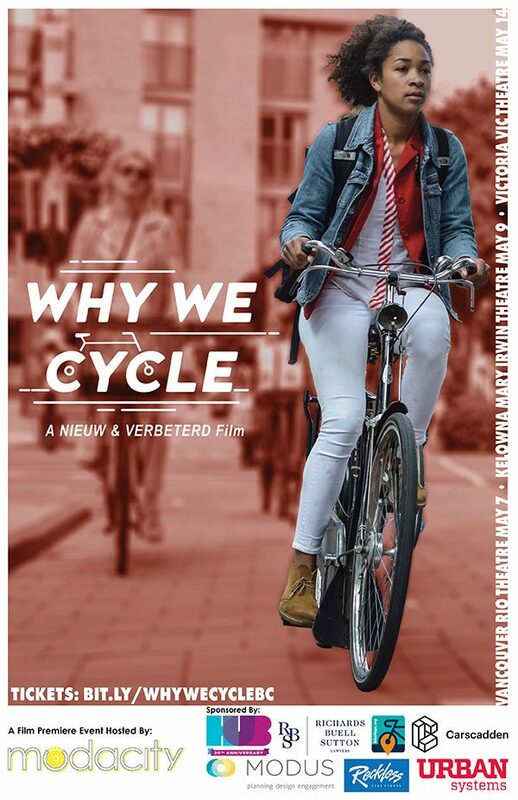 “Why We Cycle” takes a ride with ordinary cyclists and specialists from a variety of disciplines. These conversations uncover some obvious, but even more hidden effects of cycling, on people, on societies, and on the organization of cities. The 56-minute film will be followed by a half-hour panel discussion with local politicians, bike advocates, and business leaders, including Kelowna Mayor Colin Basran and Victoria Mayor Lisa Helps.